It’s easy to want God to be our genie, especially when we want our spouse to change in a particular area. I prayed for years for my husband to care about his health. I tried to tell him all the information I knew, nagged him, only fed him carrots & celery, all to no avail. As long as I was the driving force, it wasn't going to happen. But when the time came that God began to move my husband's heart about his health, my hubby became active, started eating right & caring about what he put into his body. There have many other circumstances that I have prayed about for my husband over the years. And God has always, always come through. He has worked the impossible for my husband in his career, softened his heart toward a decision that he was stuck on & grown my husband's character beyond anything I could've ever even hoped for him. And in all that praying God did something I didn’t expect. He worked behind the scenes to strengthen our marriage & show me how to be a wife. So I benefited from praying for my husband as much as he has benefited from me doing it. Only God can be a lasting motivation for someone to change their life. 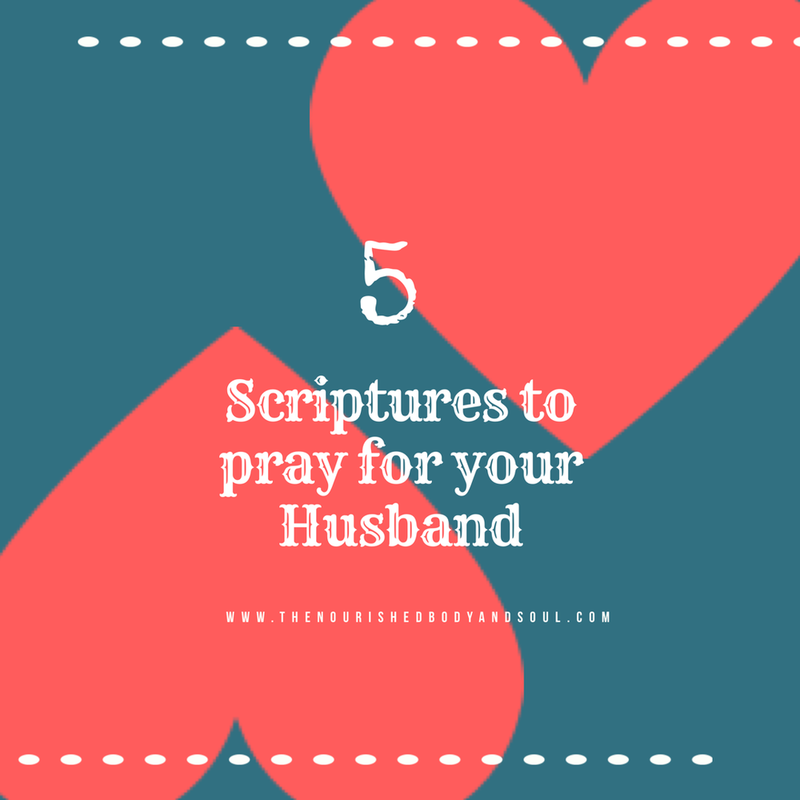 Here are 5 verses that I pray for my husband on a regular basis; I hope these will help guide you as you walk alongside your man too.